Can you imagine using a computer without a monitor? How would you know where to click, where to type or what images your screen should be showing? These challenges are very real for people who are blind and visually impaired. Most of us have never considered how we would use a computer, let alone the internet without sight. Though the visually impaired are cut off from much of what we think of as the internet, they can, and do, use it in as many ways as everyone else. Computers can be challenging without sight, but the solutions that have emerged are ingenious, and constantly evolving. Some recent advancements in tech, such as smartphones, wearables and connected products, may even come to benefit visually impaired people more than the sighted. But without help from the sighted, many of the functions we enjoy online will remain inaccessible to the visually impaired. The first step to change that is understanding the challenges. Here's a tour of a side of the web that sighted people can't see, guided by those who know it best. Visually impaired people exist on a spectrum, from those who have some functional vision to those who are completely blind. For people who can see to some degree, screen magnification is often the way to go when using a computer. Screen magnifying software allows users to enlarge parts of the screen, usually by moving their cursor over it. The software will also recognize if a keyboard command has been hit and jump to magnify that menu or window. Screen readers are the most common and necessary technology for blind people who use computers and the internet. The screen reader acts as their interface with the computer, the same way the screen does for sighted people. As the user moves through a web page with the arrow keys, the screen reader interprets the source code of a page. Based on what the code says, it decides what to read. When the program comes upon a link, it will say “link,” followed by the link's text. This link would read as “link: this link.” Buttons, drop down menus and other page elements are all similarly called out. These are the cues visually impaired people use to interact with a website. 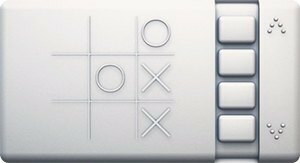 “[It's] the vocabulary you listen for to know what’s a button, what’s a link, what’s a form control,” Ryan Jones told Hopes&Fears. Jones is in the Training Department of Freedom Scientific, the company that makes JAWS (an acronym for Job Access With Speech) the most advanced and popular screen reader. 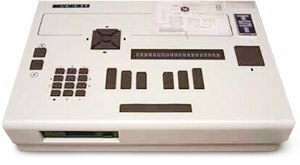 The first refreshable braille display was the VersaBraille, made by Telesensory in 1982. Since then, many companies have debuted refined variations on the concept. Today, RBD’s rely on screen reader technology to convert digital text into the ever changing braille language. While the displays aren’t in especially widespread use due to the significant cost, there’s hope that time will make them more affordable. A full braille computer monitor has also been produced but has yet to be manufactured. Perhaps the most exciting development in braille displays is the emergence of prototypes for braille e-readers that could make millions of e-books available to braille readers. These devices could be manufactured inexpensively and put Kindle-style convenience in the hands of users looking for the literary variety that abled readers take for granted. Though screen readers work audibly, users interact with them via keyboard commands. Many of these commands are the built-in shortcuts we all know, like CTRL + S to save or CTRL + P to print. When a command doesn't already exist in the operating system, the screen reader's software invents a new one. Those must be taught to users who may have used computers with sight in the past. JAWS has the advantage of being customizable. Its built-in programming language, JAWS Scripting, allows users to program the screen reader to fit their needs. “The scripting language [tells] JAWS exactly how to behave, exactly what to do within a program to help me interact with it better,” says Jones. This can be particularly helpful for visually impaired people who need to finely tune the computers they use at work, where they might use different software than they do at home. Over the last decade, innovations from Apple have started to shift some visually impaired people away from Windows, which was traditionally the only option for those who needed screen readers (JAWS only works on PC). Since 2005, Apple computers have come with a built-in screen reader called VoiceOver, and since 2009, VoiceOver has been available on iPhone, something that's radically reshaped life for blind people. Because smartphones work entirely through a touch screen, with few or no buttons, without a screen reader, they would be useless for the visually impaired. But with VoiceOver, the iPhone has become essential for accessibility. GPS apps for the blind, like Sendero GPS Lookaround, provide a particular benefit as they mean more independence out in the world. Other advantages include apps like TapTapSee, which can identify photos of anything taken from the phone, from a t-shirt to a dollar bill. Contrary to popular belief, not all blind people can read braille. Younger people, who may have been blind from an early age, are more likely to have learned the language in school, whereas older people who are losing or have lost their vision may never learn to read it. That's to say that refreshable braille displays, pieces of hardware that enable users to read what's on a screen in braille, are by definition not for everyone. These devices are separated into cells, small rectangles of six or eight holes through which rounded plastic pins can be raised to form braille characters. The display communicates with a screen reader to produce text – it can't be used on its own. Though braille displays are useful, Dan Burke and Ryan Jones agreed they aren't widely used in the visually impaired community. “I know that for folks that can afford them, they’re pretty popular,” Dan Burke told us. The displays are a real investment: those sold by Freedom Scientific range in price from $1,295 for a 14 cell display to $7,795 for an 80 cell display. This price barrier greatly reduces the number of visually impaired people who can use these devices, even if they do read braille. Burke himself owns the 14 cell BlueTooth enabled variety, which he uses with his iPhone. A book page is generally 40 cells across, so Burke's 14 cell display would hardly be able to show a tweet. Designer Sumit Dagar has been working on the world’s first Braille smartphone for years. In 2013, Dugar won a Rolex Award for design and took the prize money to further develop his concept which has seen several variations since. While a salable model has yet to be completed, the technology to allow up to 10 braille characters at a time as well as physically display face outlines from photos has successfully been implemented and it could hit shelves anytime. Likewise, a liquid-based braille tablet was announced last month that could prove even more revolutionary in its flexibility. For now, the visually impaired will have to stick with mobile screen readers but the advances continue to come. Despite the increasing availability of accessible technology, using the internet has become more difficult for visually disabled people over the last decade. Trends in design have moved towards more visual media like GIFs and videos, and websites increasingly involve animation and other non-accessible design elements. Many images online are still uninterpretable by screen readers if they don't come with an alt-text description. Blind educators say they are often at the mercy of any given program's updates, which can totally change the functionality and accessibility a site provides. Companies like Google release many products as prototypes to improve upon, and those early versions often lack accessible features. Even using the same website or app on a mobile device versus on a computer can be a totally different experience, accessibility-wise. “Everything is always in flux,” Burke says. “Facebook is pretty good now, but it can change drastically [especially] between the mobile and the standard pages. Functionality can change at any time.” Even with expensive tools, the internet remains unreliable for visually impaired people. Considering the fact that the biggest challenge braille e-readers, smartphones and tablets face is funding what better company could jump in to help than the mega-rich, all-encompassing Google? The tech giant announced in May that it would offer $20 million to nonprofits to work on technology that improves people with disabilities lives. This program falls in line with Google’s effort to bring online access to “the next billion people," an altruistic effort that also creates many more eyeballs and data suppliers for the products that pay the bills. Win-win? Many areas of innovation hold promise for visually impaired people. Apple was the first company to build screen readers into their product, and as they continue to improve their software, VoiceOver will hopefully improve along with it. These kinds of changes could cut down on the need for expensive programs like JAWS. Similar open source projects could do the same for other technologies. As the internet invades our surroundings, the benefits the “internet of things” provides for the visually impaired may exceed those for the sighted. “Smart” home devices like Nest or a wifi-enabled oven allow blind people to interact with devices which have usually been incapable of communicating except through visual means. Wearables like the Apple Watch also come with VoiceOver or other screen reading programs, and could assist people in navigation without even needing a phone. The potential for AI to help blind people is also high -- programs like Siri are usually enabled to work through voice commands. As algorithms like Google and Facebook’s get better at recognizing images, it’s not hard to imagine a kind of Google Glass that would be able to immediately and accurately tell a blind person what they’re looking at. 3D printing may disrupt the high prices of braille displays. And self-driving cars could provide blind people transportation at a level of independence that equals any other car owner. The future is promising for visually impaired people using technology. But there are simple things we can do now to bring that reality closer—adding image descriptions on websites and refraining from using unreadable graphics could make a huge difference. As the internet subsumes more and more of our lives, visually impaired people will have the opportunity to take control of their lives by creating these innovations. Technology, unlike people, can be shaped to anyone's needs.